Air Quality Monitors: Do They Work? Should You Use One? A growing body of scientific research indicates that homes with poor indoor air quality make us sick. An indoor air quality monitor can help you quickly diagnose home air quality. As the old adage states: “If you don’t measure it, you can’t improve it.” Which indoor air quality monitors work best and why? 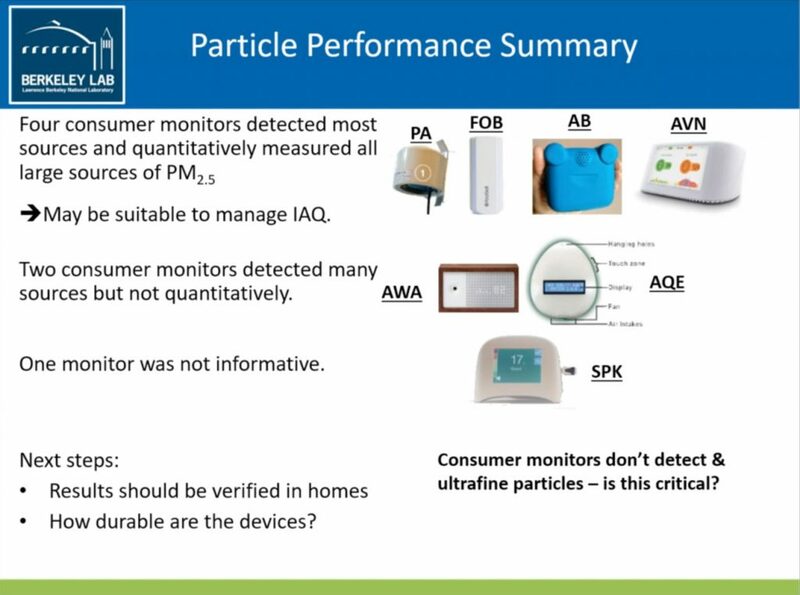 In a recent Better Buildings webinar sponsored by the U.S. Department of Energy, new research on health improvements in the energy efficiency field were shared by Lawrence Berkeley Labs including new research on consumer-grade indoor air quality monitors. This is the same laboratory with breakthroughs that helped map the human genome, created the world’s most powerful microscope and discovered 16 elements in the periodic table. They know science. Poor indoor air quality in the home has seven negative impacts. 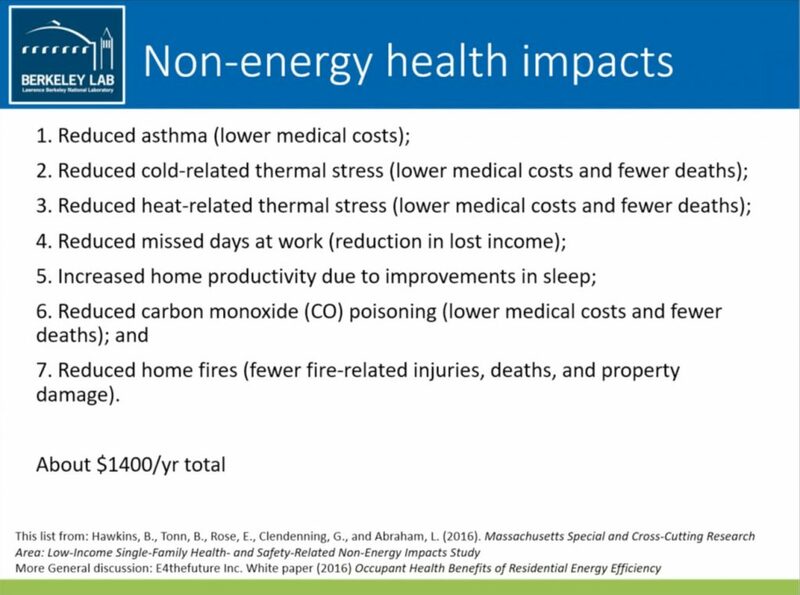 I should note that these health impacts can affect all homes, whether low-income housing or multi-million dollar mansions. Health impacts have no economic bounds. 7 health impacts of poor indoor air quality. Water leaks around windows, in walls or through the roof can cause mold and quickly degrade indoor air quality. Forced-air HVAC equipment with mold on the coil or in the ductwork can become a “highway of mold distribution.” Backdrafting of gas water heaters or heating equipment can introduce toxic combustion gases into the home. Off-gassing of carpets, paints, and adhesives can also introduce noxious chemicals (Thank you GREENGUARD certification for identifying safe products). But cooking, typically a daily activity, also introduces pollutants into the home. Do you want to breathe these pollutants? 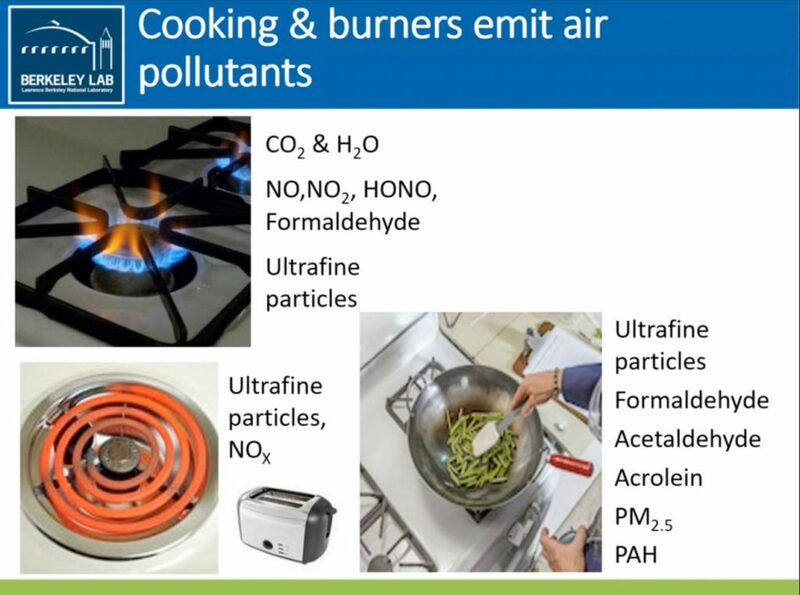 To avoid breathing these pollutants, get a quiet range hood, with >200 cfm that exhausts to the outside with the shortest possible ductwork path and which fully covers the front range burners. Several years ago, I became concerned about the indoor air quality of my home. My family and I live in a 1926 house in Miami, Florida that is on the historic register. During the shoulder seasons, we noticed high humidity in the house. We have a Lennox iComfort smart thermostat that displays relative humidity but I wanted to understand the humidity trends. I discovered the Foobot and have been using ever since. Foobot was quick to install and I loved the fact that I could look glance at the cool glow from the device: blue (healthy) and orange (unhealthy), which I set to show the light from 6a to 10p. 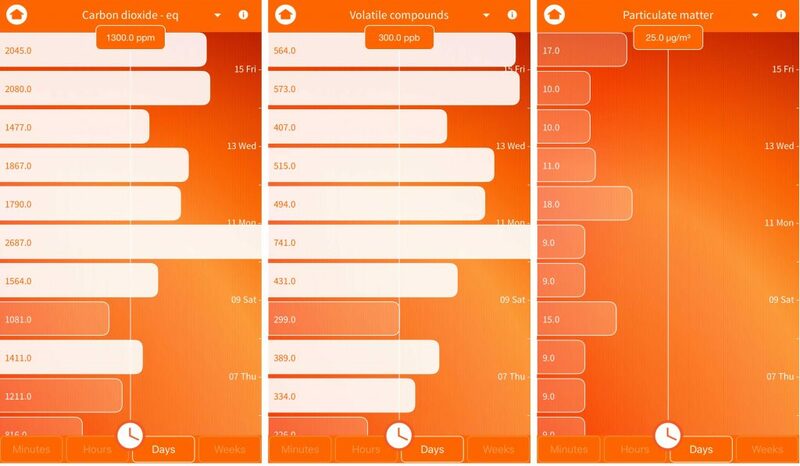 When seeing orange, I would open the iPhone app and scroll through its 5 measurements to see where the issue was: humidity, temperature, fine particles, carbon dioxide equivalent, and VOCs. It was almost always carbon dioxide equivalent, VOCs or fine particles. Foobot: carbon dioxide equivalent, VOCs, particulate matter. This doesn’t look very healthy! While Foobot worked well for the first 1-2 months, I began receiving constant errors on the iOS app indicating that Foobot could not connect to my WiFi network. Foobot support was highly responsive and helpful. However, they maintained that there was a problem with my home network, preventing Foobot from connecting. I had dozens of devices successfully connecting to the WiFi network and had not changed any network configurations. I lived frustrated for a number of months and continually applied the Foobot iPhone app updates as they became available. In the end, the problem solved itself. I now own 2 Foobot IAQ devices, one for the main house and the second one in the workshop/studio. I do not check the iPhone app as frequently because I now understand how home activities impact indoor air quality. Foobot has made me more aware of my indoor air quality. I still look for the blue or orange glow on Foobot daily, even after 2 years of use. When my wife uses the blow dryer, I see Foobot turn orange every time. The hair products interacting with heat cannot be healthy. I prefer that Foobot measure carbon dioxide directly instead of calculating an equivalent value. How much can it cost to add a CO2 sensor to Foobot? I would like to see an annual view of Foobot data. For example, particulate matter trends on a daily basis over the past year. What is the shape of the line? 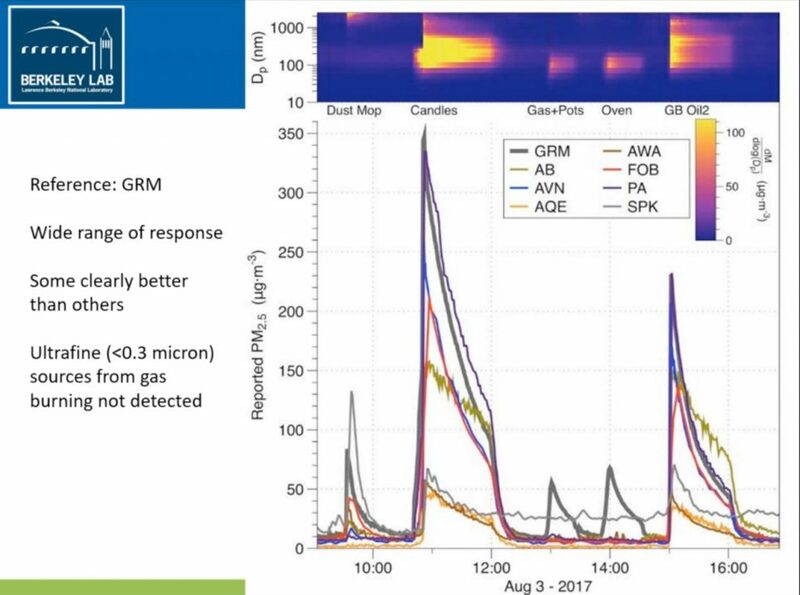 I’m glad to see indoor air quality research coming out of high-quality institutions like Berkeley Labs and the work by Iain Walker. That information can have a dramatic impact on the public’s well-being. 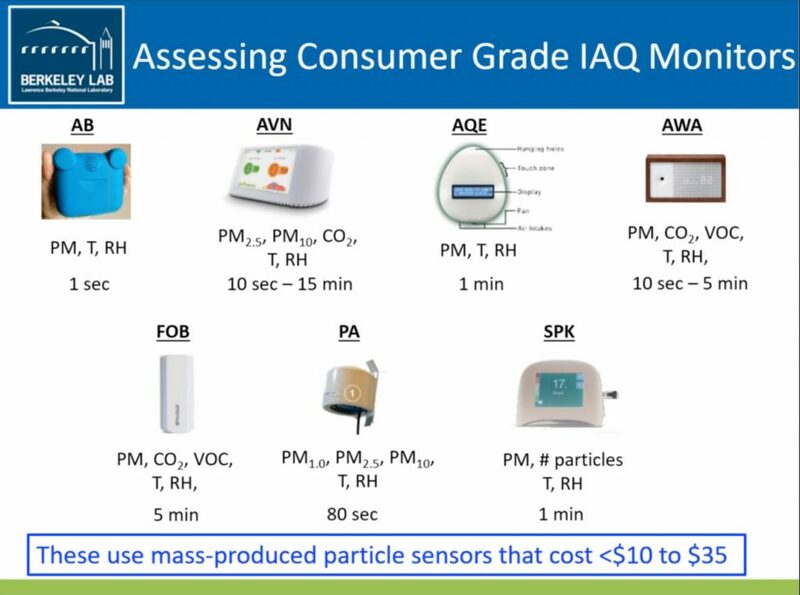 As suggested during the webinar, Berkeley Labs is now beginning to investigate the long-term accuracy of these consumer grade indoor air quality devices. 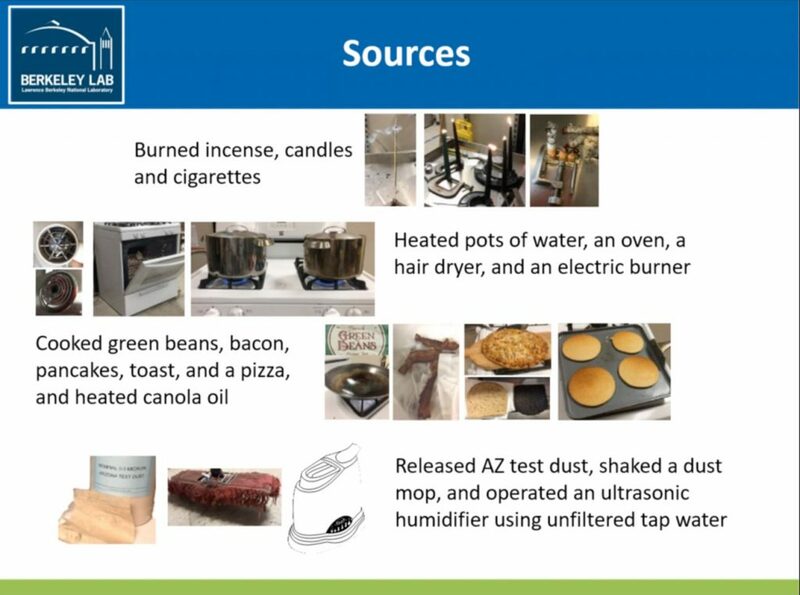 Additionally, they are investigating how they can be used to control ventilation of HVAC equipment and kitchen range hoods to improve indoor air quality. If you don’t have an indoor air quality monitor, I recommend purchasing one. Your eyes will be opened. Any of the 4 devices highlighted by Berkeley Labs should serve you well. If you already own an indoor air quality monitor, what has been your experience? HVAC UV Lights for AC Systems–Do They Work? Bryon Thomas on HVAC UV Lights for AC Systems–Do They Work? Henry Williamspri on HVAC UV Lights for AC Systems–Do They Work? Patti Carlsen on HVAC UV Lights for AC Systems–Do They Work?